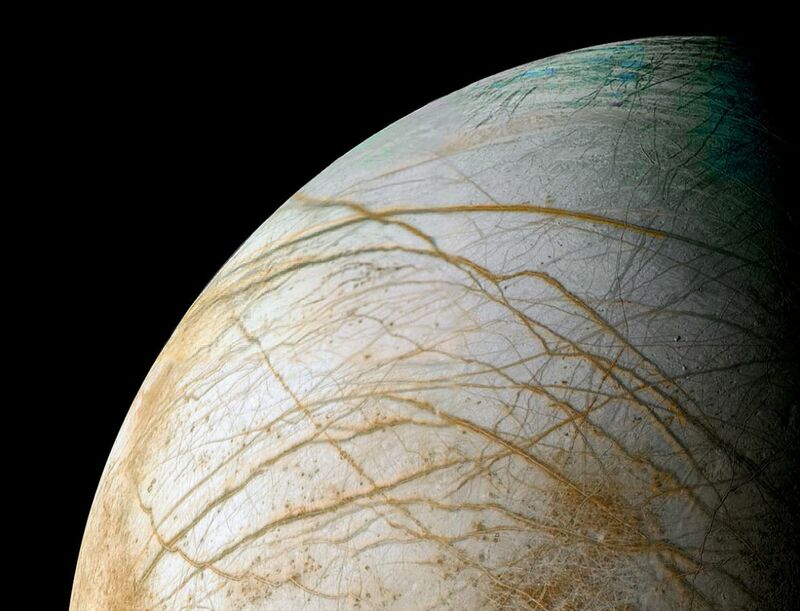 The mission to Europa has been a dream for many planetary scientists for a long time and now NASA is asking for proposals for what science instruments should be on board for the mission. One of the main reasons Europa is an excellent prospect to send an orbiter or spacecraft is the ocean of water beneath its thick icy crust. As far as we know water is a great indicator for potential life and with a combination of tidal heating it makes Europa a suitable candidate for life. Before we jump into the details of the mission let’s take a look at why Europa is insanely cool! 1 complete rotation on Europa’s axis (1 day) takes 3.5 Earth days! 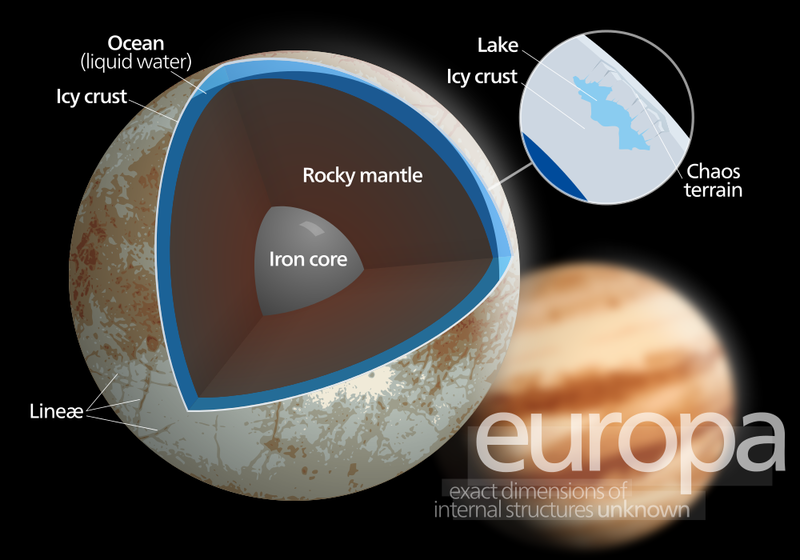 Tidally heated by Jupiter – which is part of the reason why life may exist in Europa’s ocean – it could be warm enough! Since the radiation from solar winds are caught by Jupiters immense magnetic fields Europa is basically bathing in it. Just spending 15 minutes on Europa would kill a human being! Now that we have a nice idea of why Europa is an interesting candidate we can talk about the future missions NASA and the ESA has planned. One mission that NASA recently updated plans for is called Europa Clipper. The Clipper is a flyby mission that will determine its habitability and locate a suitable landing site for future missions. This mission will be one of the first missions to make it out specifically for Europa which is aimed to get there for 2025. Another mission called Europa Orbiter is to study the extent of the ocean and its relation to the deeper interior. If that wasn’t enough for you there’s yet another missions called the Europa lander which will determine the moons habitability and see if there are any astrobiological organisms on Europa. 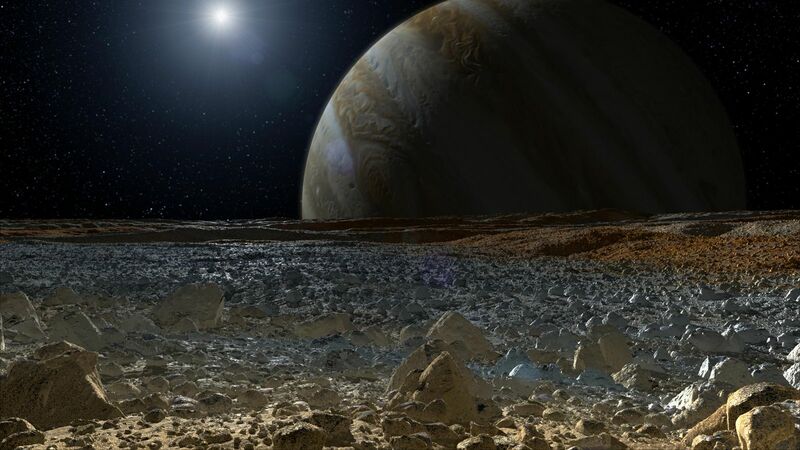 The European Space Agency is also getting in on some of this action with their mission called the Jupiter Icy Moon Explorer. It’s a mission not dedicated to Europa but it will do a flyby and primarily study Ganymede. It’s only 2014 and we still have a while to go before we see any of these missions make it out to Jupiter. However, 2020-2030 will be a very interesting time for us. We’ll have a manned mission to Mars, missions to Europa, Ganymede, and we’ll have our lovely New Horizons mission – which will be studying Pluto sometime next year. Well if you are still itching for some more Europa material then you should check out this great Reddit AMA with Bill Nye and some other amazing scientists as they give you some intimate details about Europa and the mission. So if the moon is tidally heated by Jupiter’s gravity why is the surface so cold? Does it affect the core of the moon more than the outside? I was also wondering about the radiation from solar winds blown back by Jupiter’s magnetic fields. Would that not kill life on the planet or creatures living beneath the surface be sufficiently shield from it? Yup your 2nd question/point is exactly it. Tidal heating affects the core more so than the crust or surface. As for the radiation problem, well water is great at filtering out different damaging wavelengths like UV and so on. Also, even besides that, you have extremophiles that can thrive in some of the strangest and harshest conditions. I wouldn’t be too surprised to find something living (even if it goes against my intuition). Hope that helps.